I want to get a post up tonight, but I haven't downloaded any photos off my camera. So today you will get some photos of a polish I wore a work or two ago. 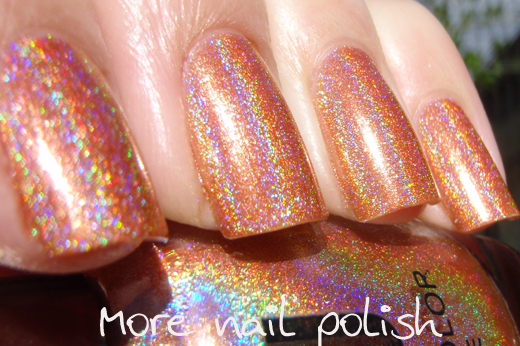 This is BSJ Diamonds Holographic polish. I think its just called #4. 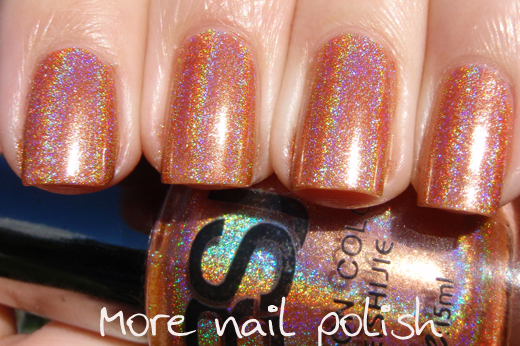 I got this in a swap with Neelai from the Philippines, who blogs over at naiL staSh. She makes lovely frankens (especially since she just got some spectraflair :) and she also takes amazing photos of her manis. 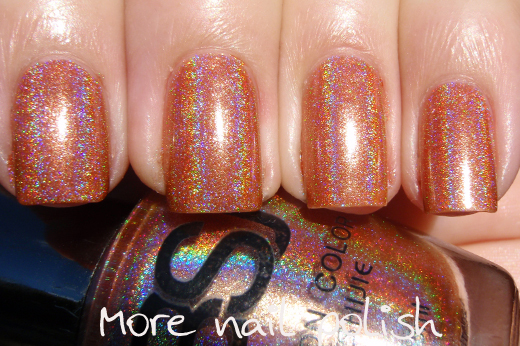 This is a lovely light copper shaded holographic polish. 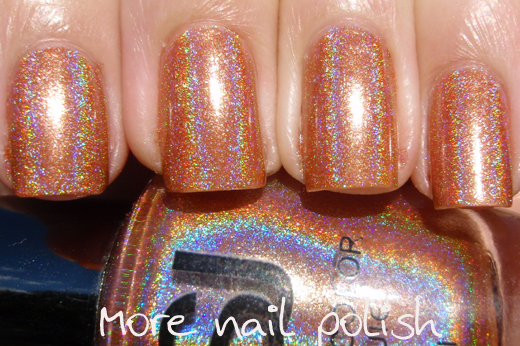 Not only is it holo, but it has a slightly metallic finish too. Just my sort of colour! And even though it is freezing here tonight in Canberra, just seeing this colour makes it feel warm and sunny. I love being able to do swaps for polishes from brands that I have never heard of, especially when they are as lovely as this holo polish. This is very pretty and I would love to wear that colour but copper and gold just do not look good on me. Wow that really sparkles! 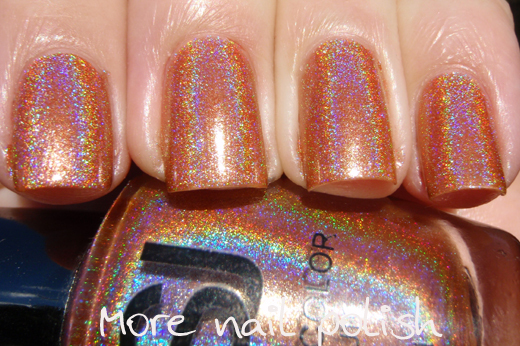 Stunning holo!! I need me some Holo to warm me up too. I hate winter and it's neighbouring months. Cool color! Its almost orange!